Note: This system comes with two 1-way remote controls which are already programmed. 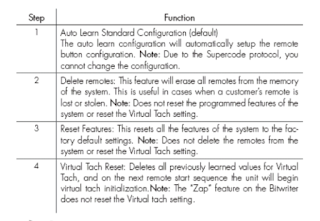 The system can store up to 4 different remote control codes in memory. 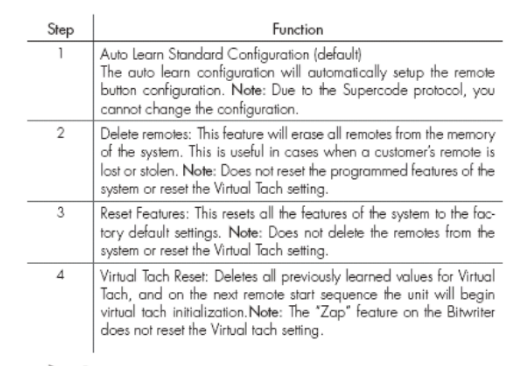 The remote uses a Supercode Protocol and requires set up before programming the system. You do not need to go though the setup or the other features in the menu.